Sercel has announced the delivery of a 25,000-channel 508XT land seismic acquisition system and 15 Nomad 65 Neo broadband vibrators to Algeoland, Algeria’s leading private geophysical company. 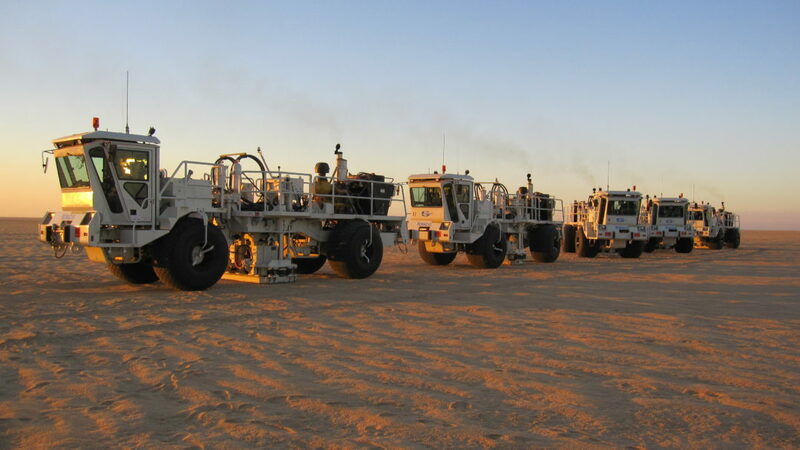 Algeoland will deploy the Sercel equipment to conduct a major 3D seismic survey over a 2,000-km² area of the Rhourde-Nouss desert region in north east Algeria, on behalf of the national oil company. Sercel said the 508XT system drives productivity, data quality and adaptability to an unprecedented level thanks to its X-Tech architecture. Generating high-fidelity low-frequency broadband sweeps down to 1Hz, the all-terrain Nomad 65 Neo is able to contribute to the delivery of higher resolution seismic data even in the harsh Algerian desert.